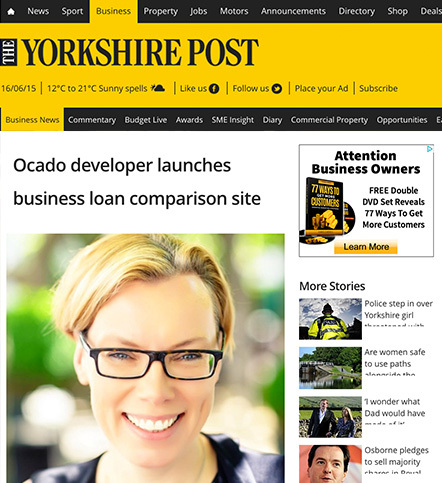 The developer behind Ocado has launched a business funding platform that aims to make it easier for small companies to shop around for finance. Funding Xchange has been co-founded by Olivier Beau de Lomenie and Katrin Herrling. The platform enables business owners to receive quotes from a series of funders from one enquiry, allowing users to compare rates and options quickly. Funding Xchange said that while the alternative lending sector has grown to meet the needs of the 50 per cent of loan requests refused by banks, businesses often find the options confusing. Two thirds of businesses only approach one potential lender, while 60 per cent spend less than two hours sourcing funding, it said. Ms Herrling said Funding Xchange brings the benefits of price comparison sites to corporate finance.